Karan Johar's popular chat show Koffee with Karan witnessed many celebs this season and every one revealed the secrets from their personal as well as professional life. This year, celebs like Deepika Padukone-Alia Bhatt, Arjun Kapoor-Janhvi Kapoor, Ajay Devgn-Kajol, Ranveer Singh- Akshay Kumar and many such stars came together on KWK. 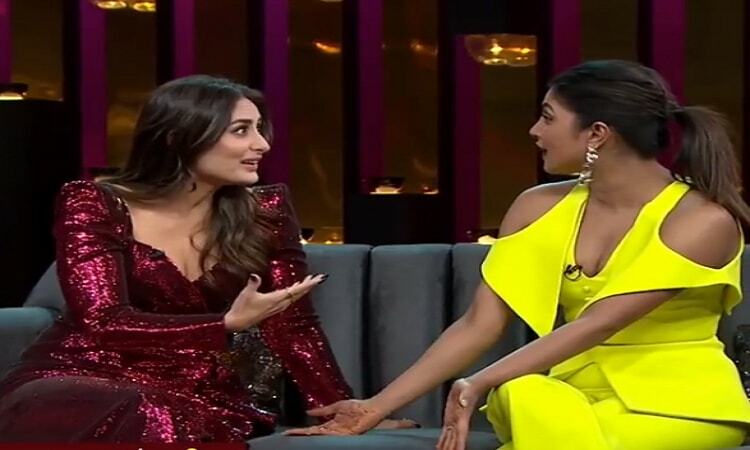 The next episode will have superstars Kareena Kapoor Khan and Priyanka Chopra making an appearance together on the show. This is the first time Bebo and PeeCee will be sharing the couch. The actresses have always been pitted against each other and they even had a kind of cold war years ago, but now both the actresses have moved on far ahead in their lives and are happy in their personal and professional spaces. On the show, Karan Johar asked Kareena if she remembers the time when Saif Ali Khan proposed to her. The actress answered, "Yes, it was in Greece." To which Priyanka Chopra reacted, "Even I got proposed in Greece." Priyanka got married to Nick Jonas last year after the couple dated for 3 months. On the work front, Kareena will next be seen in Good News starring Akshay Kumar and Diljit Dosanjh in key roles. While Priyanka's next, The Sky Is Pink, directed by Shonali Bose stars Farhan Akhtar and Zaira Wasim in key roles. Kareena Kapoor successfully lands WITTY PUNCHES on Priyanka Chopra Trailer of Ritesh Batra's 'Photograph' to release TODAY!